28 Novenber 1936. Courtesy of Kelly Collins. Details of the birth family of Jane Blyth are not currently known. 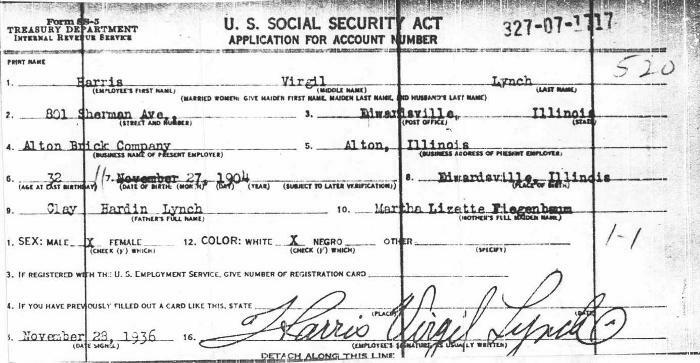 Harris Virgil Lynch and Jane Blyth were married on 9 November 1928 at Jerseyville, Jersey County, Illinois.